In a Continent Torn Asunder By Warring Gods, Guide Legions of Soldiers Through Tactical Battles—as this Reimagined RPG Epic Invades the West! 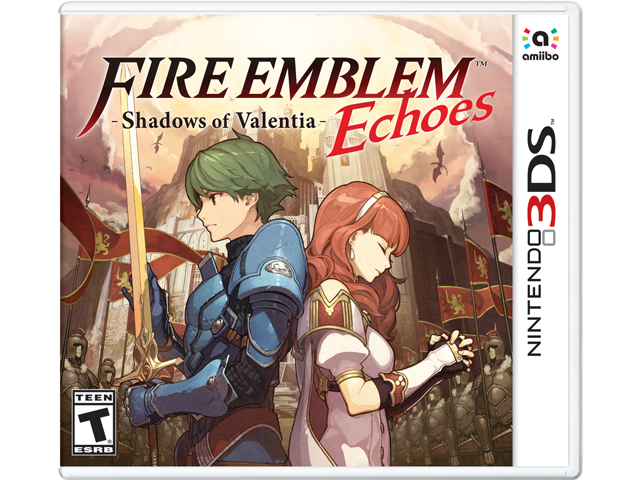 Uncover the intertwining tales of heroes Alm and Celica, engage foes, fend off monsters, and explore 3D dungeons. Your prowess will grow as you master this melding of modern and legacy Fire Emblem™ gameplay. In Valentia, battle is waged in the traditions of elder Fire Emblem games, when the rules of battle were simpler, yet the challenge formidable as ever. To stop the war and unify the continent, you'll have to balance the needs of an army of soldiers with unique stats. Play as iconic Fire Emblem character classes, such as Mage, Paladin, and Archer as you bring strategic skills to bear in the challenging grid-based battle system. When you encounter a dungeon on the world map, explore every corner in action-adventure style. You never know what secrets you may unearth.